I am writing to provide you with information about a contagious respiratory pathogen outbreak in our community. Thus far in cases we have treated, this pathogen has caused a mild to moderate cough that lasts between 2-10 days. Patients have shown signs of cough, gagging, and lethargy. Some patients have improved without treatment (disease was self-limiting) and some have used cough suppressants and antibiotics during their sickness. All patients have fully recovered. This pathogen can be transmitted from dog to dog through coughing and sneezing. Dogs that visit locations where other dogs have been are susceptible to picking this pathogen up (dog parks, pet stores, kennels, grooming salons, dog washes, canine camps/resorts, play areas, daycares etc.). Although most of these areas require appropriate vaccines to be up to date, it appears these pathogens are not ones found in our available vaccines, and thus there is no immunity to these particular pathogens unless patients have already been exposed in the past. 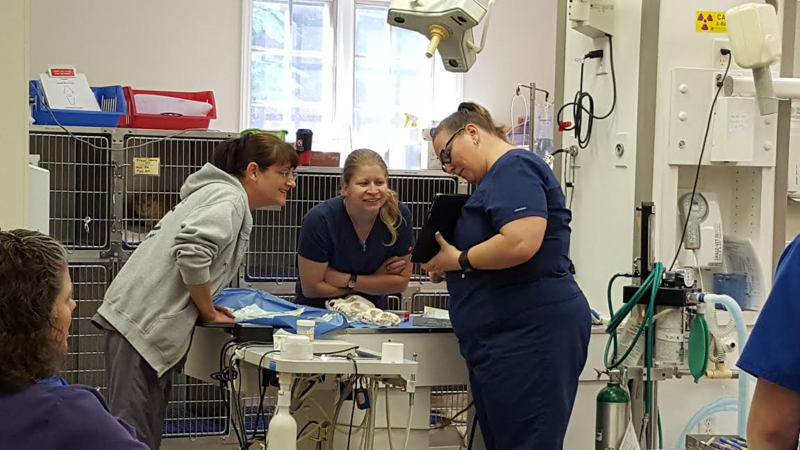 All of the cases we have seen have been vaccinated with the typical “kennel cough” vaccine (Bordetella bronchisepticum, Parainfluenza, Adenovirus). At Town ‘n’ Country, we are working with our vaccine manufacturers to identify the underlying cause of the outbreak and make sure we do not have a lack of vaccine efficacy or a new pathogen to the area (Canine Influenza). We are testing patients and waiting for results to come back. In the meantime, we recommend that if your pet is coughing, avoid taking your pet to parks, play areas, etc. until they are free of the cough for 5-7 days in an attempt to extinguish the community wide outbreak. If your pet develops a cough, please let us know immediately so we can report it. Keep us updated with your pet’s symptoms as we may suggest medications if the cough is persisting beyond 2-3 days or if the patient feels poorly. We are committed to serving our clients and our community and therefore have established protocols in place to limit transmission of disease within our hospital and community. We are working with pharmacovigilance departments to identify the cause of this outbreak and help guide recommendations for our patients. Please contact us if you have any questions. Thank you. This Dog Helped Us Learn New Tricks! 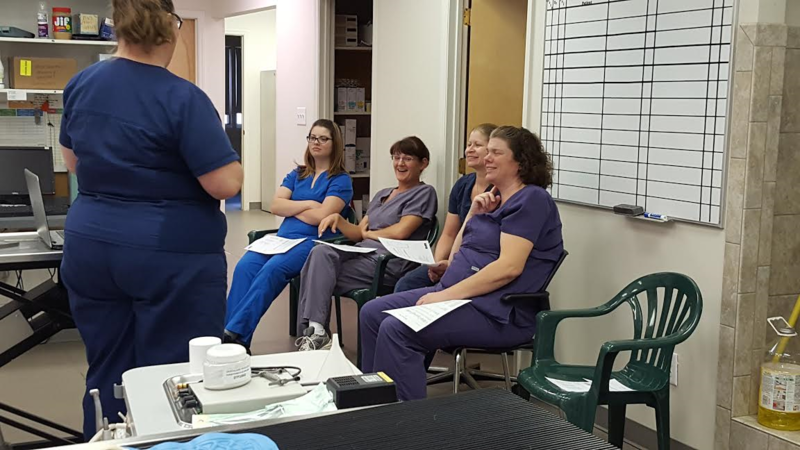 In the month of April, Midmark Animal Health ran a promotional video contest entitled, “Learn New Tricks.” Participants were encouraged to send a video of their pet showing off their very best tricks. 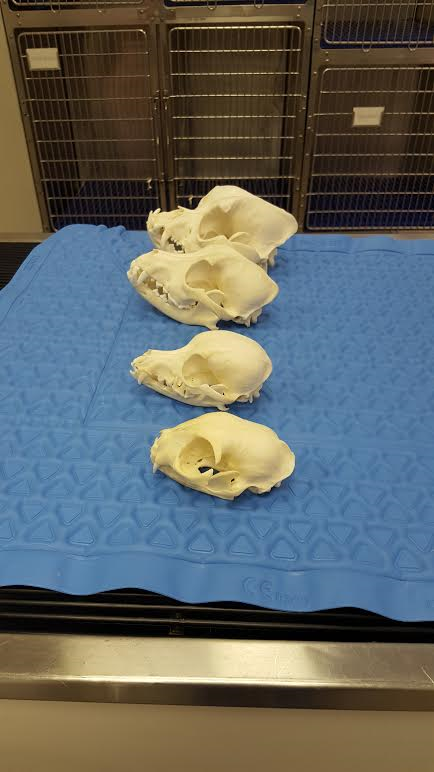 We have a patient named Jayce, a 3 year old male Border Collie. His owner Kelley Smith had spent hours training him in a variety of commands. She took a video of his finest tricks, and Town N Country sponsored his entry into the contest. The video (you can see it here) was fantastic and ended with Jayce doing a skateboarding trick that amazed even our doctors. We knew then that we had something really special. Right away, we took to our social media, to ask our Town ‘N’ Country family to vote. Our wonderful network of clients, family and friends didn’t disappoint! We began to get excited as we watched the votes climb over the following weeks. On May 2, 2016 Midmark Animal Health notified us that Jayce’s video won, with a total of 257 votes! We couldn’t wait to call Kelley and let her know. Jayce and Kelley’s hard work had earned a $250.00 donation to be given to their favorite local animal charity. Ms. Smith chose Paws4Ever Animal Sanctuary in Mebane, NC. 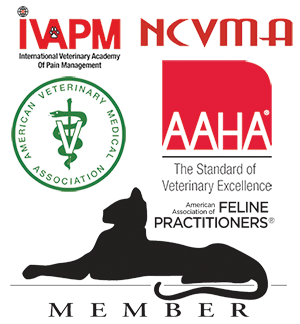 As their sponsor, Town ‘N’ Country Animal Hospital won a free onsite training with Midmark Academy on the topic of our choice. Our technicians took a vote and chose their course. With topics such as preparation—(including rinse, before and after photos, proper attire and safety), execution—(including tools, sub/supra gingival scaling, polishing, probing and charting, Instrument maintenance and care), common pathology, anatomy review, triadan numbering system, probing technique, and hands-on practice of prep, scaling and polishing/ probing and charting, our four hour training promised to help us learn a few new tricks. 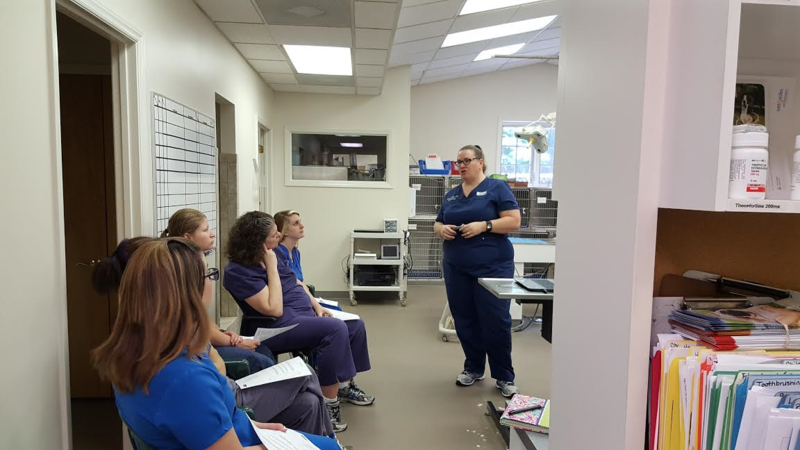 Here at Town ‘N’ Country Animal Hospital we are always looking to improve our patient’s experience through continuing education. We want to thank Kelley Smith and Jayce for allowing us to sponsor their video. We are so grateful to all our friends who voted for us. We appreciate this amazing opportunity to learn and grow. Here are a few pictures from the training day.